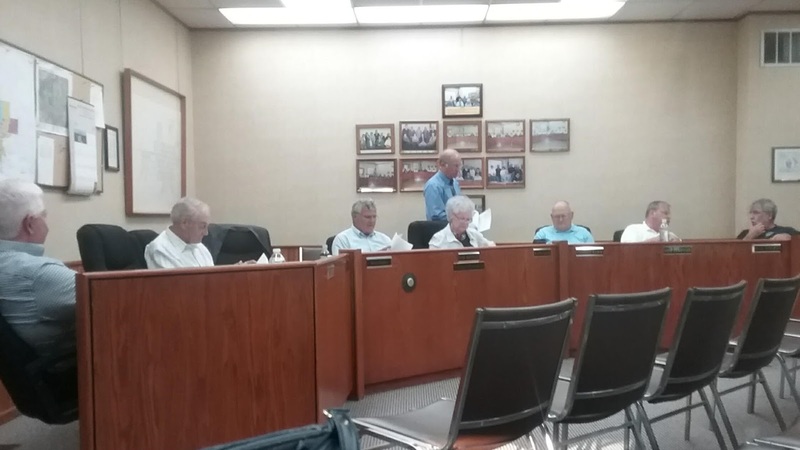 Tuesday, July 18th there was a village Board meeting. During the meeting, there was a lot of discussion on the maintenance of Metamora and purchases that need to take place. The newest well (#8) Metamora had installed has a lot of issues and it would be less expensive to replace than to repair. The Village will be purchasing land from a local land owner and placing a new well there. The Village Board, Park Board, and Girl Scouts have been waiting to hear back from the Department of Nature Reserves [DNR]. They needed to get approval to put the water system in that will benefit Black Partridge Park and the Girl Scout camp, Camp Tapawingo. The DNR approved their proposal and the camp's goal is to have treated water at their facility and are they will be paying for the installation. A second meeting was held with potential investors for the hotel that will be built at Metamora Fields. An investment of $50,000 is needed from individual investors in order for the purchase to happen. Another meeting will be held to speak with the hotel chain representatives, contact Metamora Fields for more info. The Department of Labor will be coming to make sure all employee regulations and signage at the public buildings are up-to-date. This is a routine visit done by the state. We also have to pay our sales tax to the state and will be charged a 2% fee for an operating expense. The Village is also planning on purchasing property on Niles and they will be closing on this deal soon for around $90,000. They are also buying a tractor from CAT for $90,000. One of the most entertaining parts of the meeting was the debate between Dave Vericker and Don Hutchens about the ordinance for un-kept vehicles around town. Don want this ordinance carried out, and Dave wanted to know if Don wanted to know how this plan would be carried out. They decided to keep the policy to be complaint driven. If you have a vehicle that is not up to date on its tags, has broken windows, or has not moved[doesn't run] for months you will be issued a warning, then a ticket if not taken care of in the allotted time frame. If you know of a vehicle like this and want to complain call the Village office at 309-367-4044 and let them know.